This spacious home is located in a quiet residential area just a short drive to Whitehaven town centre and local schools making this an excellent choice of home for any family. 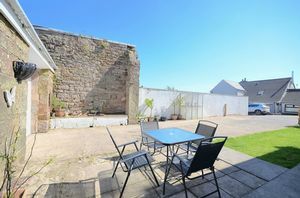 The property has been well cared for by the current owners and is now ready for new owners to call this property home. 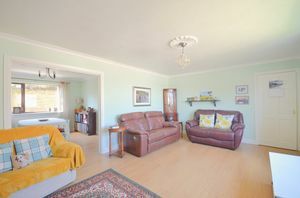 There is a spacious hallway, large light and airy lounge which leads to a spacious dining room. 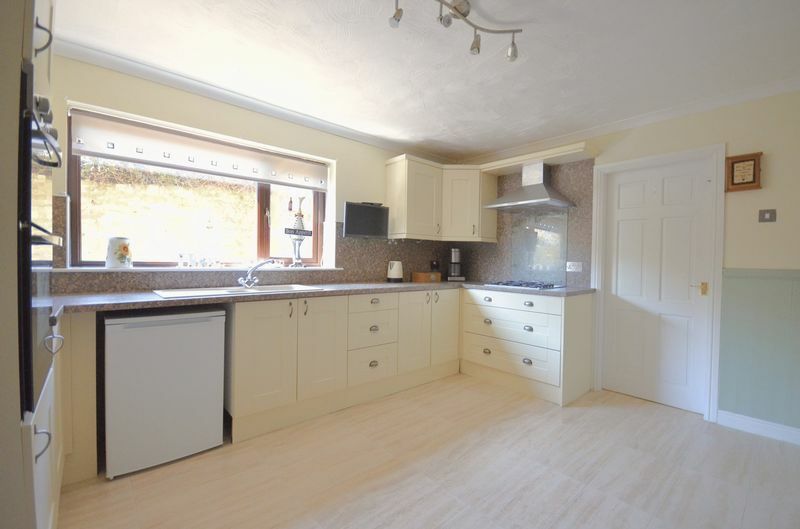 There is a lovely fitted kitchen which boasts a separate utility room and there is also a useful downstairs WC. To the first floor there Master bedroom has built-in wardrobes, boast lovely views across Whitehaven and benefits from a ensuite. 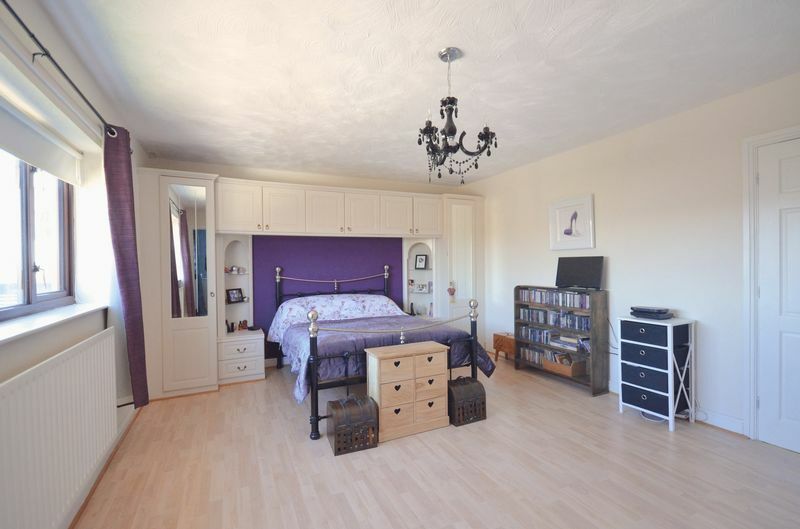 There are two other bedrooms one of which was two bedrooms combined into one and it would be quite straight forward to convert back into two. The main family bathroom is also located on the first floor. Externally the property benefits from a spacious drive, substantial garage and a low maintenance garden. 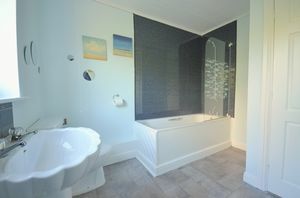 Internal viewing is highly recommended to fully appreciate the privacy and space this property offers. 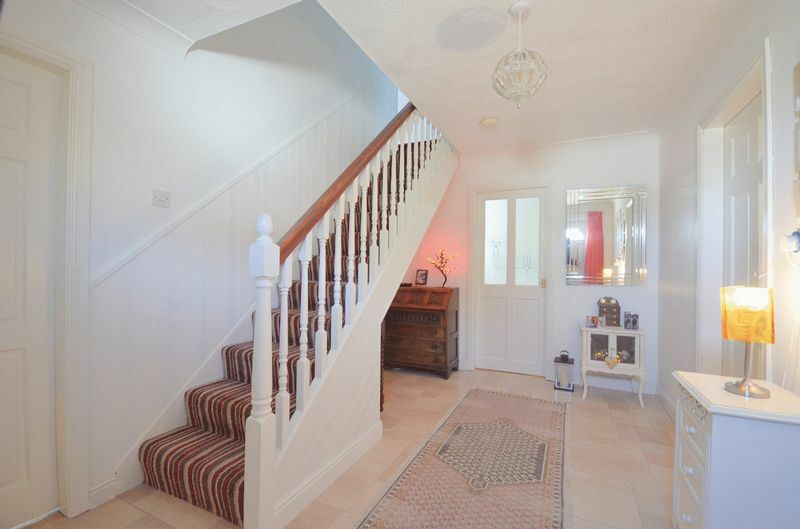 This spacious hallway is entered through a composite door with frosted glass. 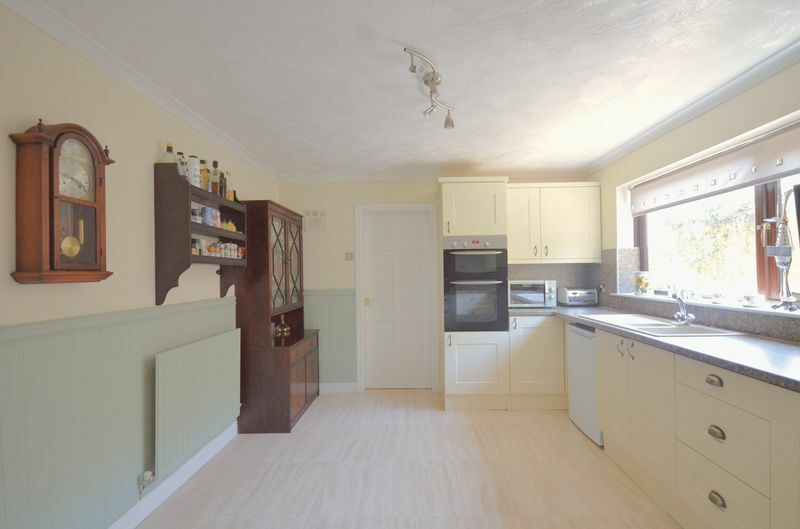 There is decorative coving, under stairs storage area, phone point, power point, large built-in cloak cupboard and a double panelled radiator. 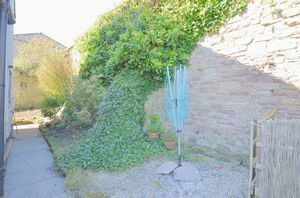 Provides access to the lounge kitchen, WC and the stairs to the first floor landing. WC, pedestal hand wash basin, dado rail, single panel radiator and a UPVC double glazed frosted window. 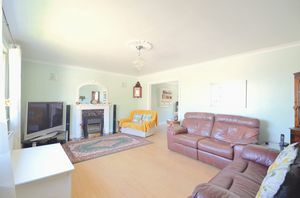 This lovely light and airy room benefits from a coal effect electric fire with a marble inset hearth and wood surround. TV point, satellite point, decorative coving, ceiling rose, wall mounted lighting, laminate flooring, double panelled radiator and a large UPVC double glazed window providing plenty of natural light. Opens up to the dining room. 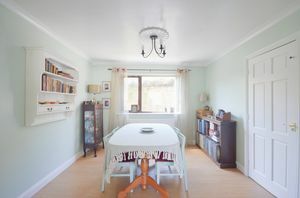 Large dining room with more than ample space for a family size dining table and chair set. There is decorative coving, ceiling rose, laminate flooring, single panel radiator and a UPVC double glazed window. Leads to the kitchen. This stylish, modern kitchen incorporates a range of cream wall and base units with a complimentary worktop with matching splashback's. Built-in electric oven and grill, separate gas hob with a stainless steel extractor above. Sink 1.5 with drainer board and mixer tap. 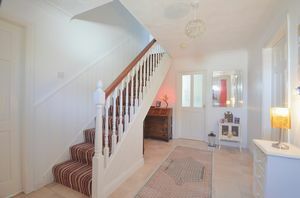 Decorative coving, feature wainscoting, single panelled radiator and a UPVC double glazed window. There is plenty of space to put a breakfast table and chairs. Provides access to the utility room. 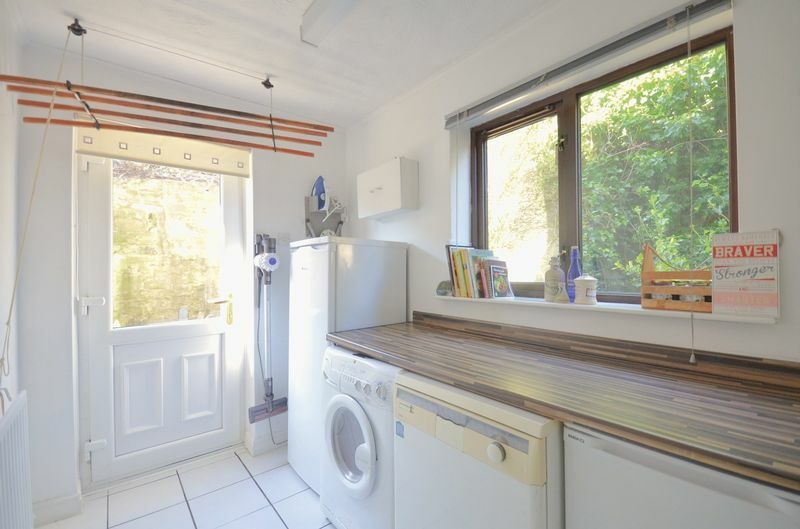 This spacious utility room has plumbing for a washing machine, tumble dryer, fridge freezer and there are wall and base units and two work surfaces providing plenty of storage and work area. 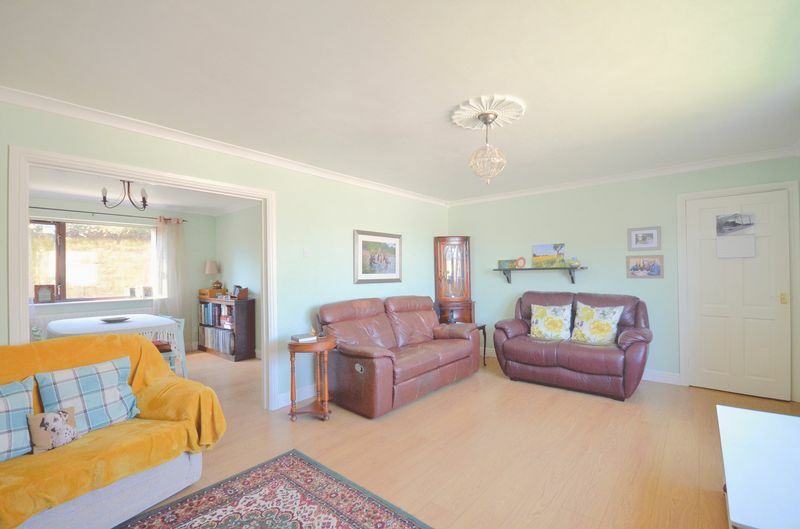 There is tilled flooring, decorative coving, single panelled radiator, UPVC double glazed window and a UPVC door leads out to the rear garden. The utility also houses the Baxi Combi boiler. 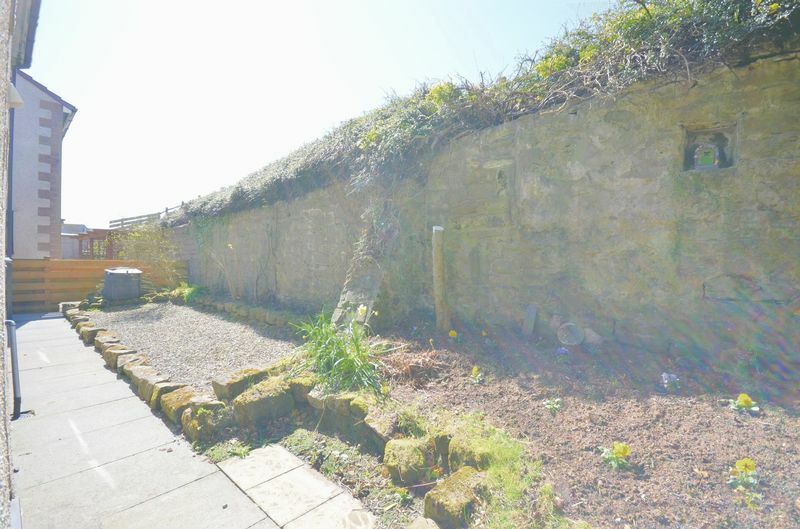 The landing has a power point and leads to all bedrooms, bathroom and the loft. This large master bedroom boasts stunning, elevated views across Whitehaven with the Cumbrian Fells visible in the distance. 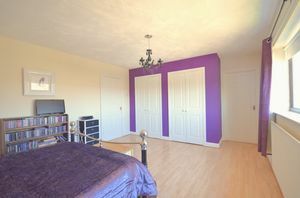 The room also boasts to 2 door built-in wardrobes plus additional wardrobes, bedside tables and over bed cabinets. 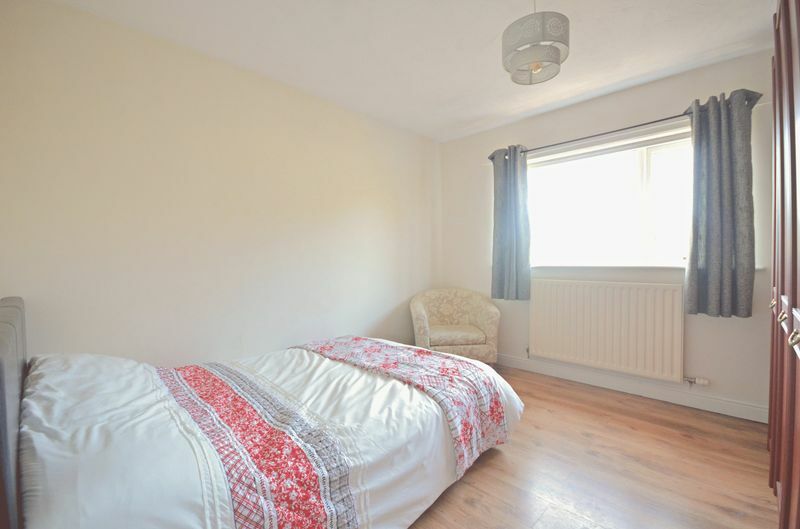 There is laminate flooring, single panelled radiator and leads to the ensuite. 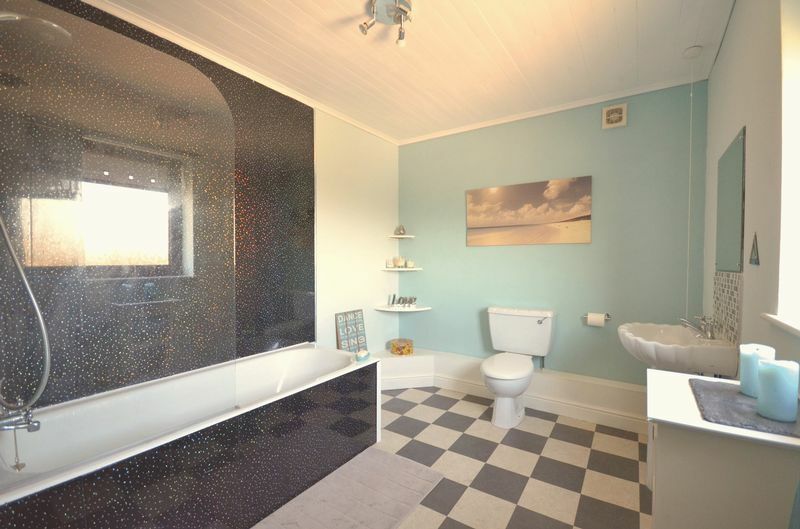 Spacious ensuite comprising of a bath with glass screen, mixer tap and shower attachment. WC, pedestal hand wash basin, extractor, single panel radiator and a UPVC double glazed frosted window. 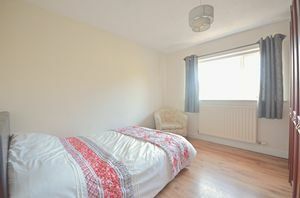 Double bedroom with laminate flooring single panel radiator and a UPVC double glazed window. 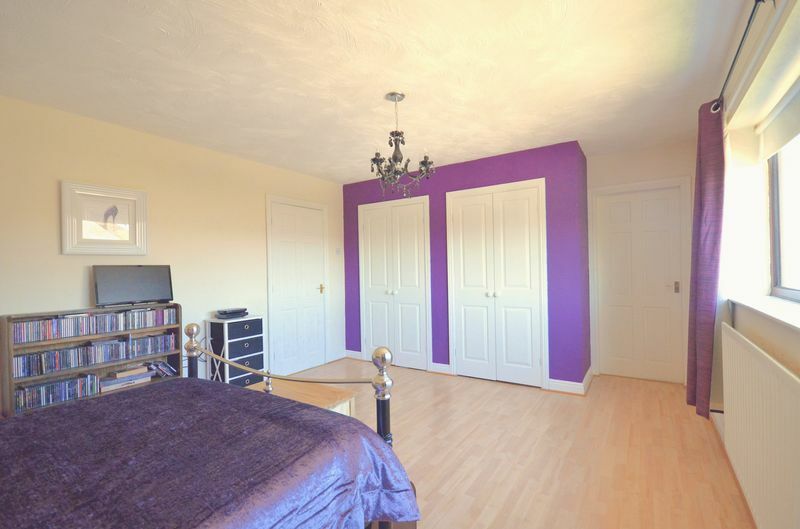 This large double bedroom was originally two rooms that have been combined into one. If desired it would be quite straightforward to insert a partition wall to convert back to 2 bedrooms as both doors are still in place. 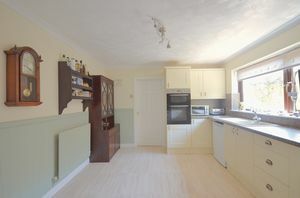 There is laminate flooring, two single panelled radiators below two UPVC double glazed windows. The bathroom incorporates a bath with glass screen, mixer tap and shower attachment. WC, pedestal hand wash basin, extractor, single panel radiator and a UPVC double glazed frosted window. This large garage has an electronic open over door, lighting, power points and there is space for workstations or storage. 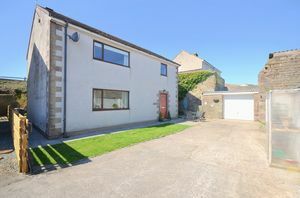 To the front the property has a large driveway which leads to the garage and provides plenty of offstreet parking. To the side and rear of the property the garden has bedding areas, a variety of plants and an attractive sandstone wall making the garden feel very private.